John Bethel’s Family. Standing (left to right): John Geronald, Mort, Minnie, Walter Wayne, and Harry. Sitting (left to right): Leslie, Ellen, John Bethel, and Carrie. John Bethel Claybourn was born 24 December 1846 at Texico, Jefferson County, Illinois. In 1864 he enlisted in the Union army under Captain C. Scott of Company E in the 136th Illinois Volunteer Infantry. The regiment was organized at Centralia, Illinois and mustered in for one-hundred day service. The regiment was never in a regular battle, although it performed occasional raids against guerillas. John was honorably discharged near the close of the Civil War. On 4 July 1866 he married Mary Ellen Clink (“Ellen”). [Ellen Clink was born on 6 September 1848 in Van Wert County, Ohio.] They celebrated the day by listening to addresses delivered by Generals Ulysses S. Grant and William T. Sherman at the Independence Day Celebration in Salem, Illinois. They lived for twelve years at Rome (Dix), Illinois where “Uncle John” was employed as a wagon maker. In July of 1878 he made a covered wagon, bought a span of mules and drove to Glenville, Minnesota, with his wife and four children where they located on a farm. The trip took them twenty-five days. Roughly four years later, in 1882, they moved to a farm north of Albert Lea which is now the site of the Albert Lea Golf and Country Club. They lived there two years and then moved into town (Albert Lea) where John, a carpenter and wheelwright by trade, secured employment in the local wagon factory. With the exception of one year, the family lived at 204 South Pearl Street from 1885 on through John’s death. John was a very active member of the G.A.R. Robson Post No. 5, being one of the two last survivors of the post, the other being Comrade Gardner Louden of Glenville. During the ministry of Reverend Mosher, the Claybourns became members of the First Baptist Church in Albert Lea, a relationship which they maintained until their death. For a number of years John served as a deacon and when advancing age made it necessary to limit his activity, he was made Deacon-Emeritas, an honor which he held to the close of his career. On 4 July 1936, John and Ellen celebrated their 70th wedding anniversary. The Albert Lea newspaper published their pictures, the information below about them, and stated that they were believed to be the oldest married couple in Minnesota. “Mr. Claybourn will observe his 90th birthday next December 24th. He is in remarkably good health, has never used tobacco, coffee, tea or any intoxicating liquor, but drinks milk three times a day. He maintains a keen interest in modern affairs and is especially interested in political events. Recently, however, he’s been busy supervising the shingling of the house he owns next door, climbing ladders and laying shingles. He died eight months after this celebration on 19 March 1937. “Aunt Ellen” died roughly three years later on 2 April 1940. Both are buried at Graceland Cemetery in Albert Lea, Minnesota. Carrie Mae Claybourn was born on 24 May 1867, in Rome (Dix), Illinois. Carrie married (1st) Jesse Marlett on 2 March 1886. [Jess Marlett was born on 3 August 1861. His date of death is unknown.] They had four children – Charles, Arthur, Minnie, and John – listed below. They divorced between 1896 and 1899. Carrie married (2nd) in about 1903 to Henry August Wemhomer in Burlington, Iowa. [Henry Wemhomer was born on 13 August 1860 in Burlington, Iowa.] Together they had three children, Walter and twins George and Henry, listed below. Henry A. Wemhomer died on 25 March 1913 in Burlington, Iowa, and is buried in Aspen Grove Cemetery in Des Moines, Iowa. 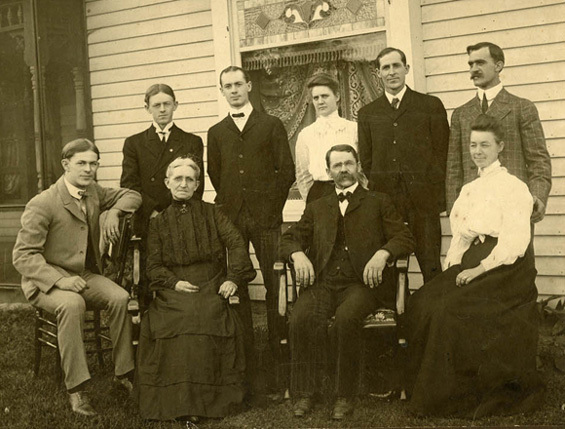 Carrie divorced her second husband before 1910 and moved back to Minnesota where the census shows her living in Minneapolis with sons Walter and George and the man who became her third husband, August “Gust” Thomas. [Gust Thomas was born on 8 January 1873 or 1874 in Kentucky.] The couple was living in Minneapolis at the time of his World War I draft registration, in Dallas, Texas, as of the 1930 census, and in Crosby, Minnesota, as of the 1940 census. Carrie died on 3 August 1940, in Crosby, Minnesota, where she is buried. Gust died on 19 June 1964 in Crow Wing County, Minnesota. Carrie and Gust Thomas buried in Lakewood Cemetery in Crow Wing County. Charles Herbert Marlett was born on 17 July 1887 in Albert Lea, Minnesota. On 11 November 1909 he married Carrie Eva Larson. [Carrie Larson was born on 31 July 1885 in Albert Lea, Minnestota.] Together they had one son, listed below. Charles died on 3 February 1944 in Los Angeles, California. Carrie died on 21 March 1977 in Orange County, California. Both are buried in Roosevelt Memorial Park Cemetery in Los Angeles. Herbert Dwight Marlett was born on 1 November 1910 in Albert Lea, Minnesota. On 15 August 1936 he married Frances Delores Exelby. 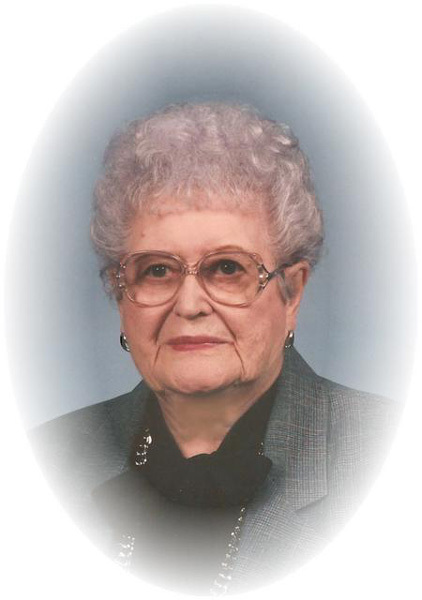 [Frances Exelby was born on 14 September 1916 in Rice Co., Minnesota to William and Anna (Hanson) Exelby. Frances was baptized and confirmed at St. Olaf Lutheran Church in Austin.] Herbert died Jan 13, 1981 in Tustin, California. Frances died on 4 December 1999 in Dakota Co., Minnesota. She is buried in Rose Creek Enterprise cemetery in Mower Co., Minnesota. Arthur Ray Marlett was born on 26 April 1889 in Albert Lea, Minnesota. On 25 October 1908 Arthur married Florence Ina “Flossie” Steen. [Flossie Steen was born on 14 July 1890 in Winnebago County, Iowa. She died on 12 December 1937 in Johnson County, Iowa.] She gave birth to five children with him, three of whom died in infancy. They divorced about 1919. [On 2 February 1921 Flossie married Arthur Christenson (1890-1950) in Winnebago County, Iowa and had three children with him.] Arthur died in 1921. Baby Boy Marlett was born and died on 15 January 1911 in Freeborn Co, Minnesota. Florence Ina Marlett was born on 23 July 1912 and died a day later on 24 July 1912 in Freeborn Co., Minnesota. Carrol Ray Marlett was born on 7 September 1914 and died on 24 September 1914 in Freeborn Co, Minnesota. 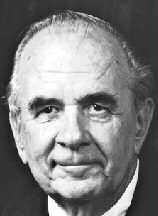 Carroll R. Marlett was born on 9 October 1916 in Freeborn County, Minnesota. In about 1941 he married Bernice Ruth Magnuson MacDonald. [Bernice Magnuson was born on 9 April 1918 in Minnesota.] City directories show them living in Aberdeen, South Dakota in 1948 and Sioux City, Iowa in 1952. They had at least one child. Carroll died on 10 August 1992 in Indianapolis and is buried there in Washington Park North Cemetery with “Pappy” on his gravestone. Bernice died on 16 July 1995 in Oakland, California. William Lloyd Marlett was born on 8 January 1942 in Crow Wing County, Minnesota. Charles Donald Marlett was born on 9 November 1919 in Freeborn County, Minnesota. He married Frances Angeline Haick in about 1941. [Frances Haick was born on 9 June 1919 in Wilkin Co, Minnesota.] Their first child was born in Minnesota, with others possibly born in Washington. Charles died on 23 June 1984 and Frances died on 11 December 1999, both in Seattle, Washington. Janice Maryann Marlett was born on 16 July 1942 in Wilkin Co., Minnesota. Minnie Grace Marlett was born on 3 September 1891 in Albert Lea, Minnesota. She switched her name around to Grace Minnie. On 17 July 1911 she married George D. Ryan in Hennepin County, Minnesota. [George Ryan was born on 29 July 1885 in Minneapolis, Minnesota.] The two lived in Texas and had no children. George died on 3 February 1949 in Minneapolis, Minnesota. Grace died on 7 September 1960 in Dallas, Texas. They are both buried in Fort Snelling National Cemetery in Minneapolis. Earl John Marlett was born on 14 September 1893 in Albert Lea, Minnesota. He married Irene Claudia Onsgard in about 1917, probably in Wisconsin, as he is listed as married in his World War I draft registration card. [Irene Onsgard was born on 13 February 1893 in Rock County, Wisconsin.] Earl died after 1926 when he and his wife were listed in the Milwaukee, Wisconsin city directory. Irene died on 26 January 1954 in Alameda Co., California. Walter Durwood Wemhoener was born on 9 May 1904 in Burlington, Iowa to Carrie and Henry Wemhoener. Since he later took the surname of Thomas, he was presumably adopted by his step-father Gust Thomas. Walter married Charlotte Mary Grady in 1928 in Collin County, Texas. [Charlotte Grady was born on 11 August 1907 in Ramsey Co, Minnesota.] They had two sons, listed below. Walter died on 26 December 1946 and Charlotte died 2 March 1983, both in Dallas, Texas. They are buried in Hillcrest Memorial Park Cemetery in Dallas. Rex Grady Thomas was born 9 July 1928 in Dallas, Texas. He attended North Dallas High School and met his wife Frances Martha Gieb, whom he married in about 1947. [Frances Gieb was born 22 April 1929 in Dallas, Texas.] They had five children and were married for 60 years. In 1974 Rex and Frances moved to Harlingen to continue his work as an insurance agent. The family also owned The Bird’s Nest, a ladies clothing store, for 20 years in Harlingen. Rex loved his family above all, but also found time to give to others, devoting much of his time to St. Vincent De Paul Society, Sandi Jo Funk Hospice of Valley Baptist Hospital, and St. Anthony’s Church as a Eucharistic minister. In Dallas he worked with St. Monica Church and The Knights of Columbus. He gave his family the joy of life, laughter, teachings of honesty, trust and respect, but most of all love. Rex passed away peacefully succumbing to heart disease in his home in Harlingen, Texas on Thanksgiving Day, 22 November 2007, surrounded by family. Rex is buried in Calvary Hill Cemetery in Dallas, Texas. James Richard “Jimmy” Thomas was born on 28 November 1929 in Dallas, Texas and died on 2 May 1986 in Dallas. George Little Wemhoener was born on 27 April 1906 in Burlington, Iowa. He was born a twin, with the other baby dying in infancy. Like his older brother, he later took the surname of Thomas, suggesting that he was adopted by his step-father Gust. He married Ava Neal (1905-1995) before 1947. George died on 20 December 1965 in Dallas, Texas. They are buried there in Hillcrest Memorial Park Cemetery. Henry Wemhoener Jr. (a twin) was born on 27 April 1906 in Burlington, Des Moines County, Iowa, and died on 14 May 1906. He is buried in Aspen Grove Cemetery there. Henry Arthur Claybourn was born on 3 June 1867 in Rome (Dix), Illinois and died in October of 1877. He is buried in Jordan Chapel cemetery. Lillie Myrtle Claybourn was born on 7 October 1871 in Rome (Dix), Illinois and died July 1872. She shares a headstone with her brother Henry. Walter Wayne Claybourn (“Wayne”) was born on 9 May 1873, in Salem, Illinois. Walter lived in Albert Lea, Minnesota and married on 28 February 1900, to Myrtle Florence Doud or Dowd (it is spelled both ways in various sources). [Myrtle Dowd was born on 17 September 1879 in Geneva, Minnesota.] Together they had four children, listed below. Myrtle died on 17 October 1961 and Wayne died on 3 March 1964. They are buried together in Graceland Cemetery in Freeborn County, Minnesota. Wilfred Wayne Elliott Claybourn was born on 29 April 1906 in Albert Lea, Minnesota. He married Myrle June Stearns (born 6 April 1910, in Waseca, Minnesota) on 2 October 1930. Myrle’s parents were Floyd Stearns and Grace Fairly Stearns. Myrle graduated from Albert Lea High School in 1926. After her graduation in 1929 from Winona State Teacher’s College, she taught school in rural Freeborn County and in the Freeborn schools. She was an employee of the Albert Lea Tribune newspaper for 25 years. Wilfred and Myrle had three children, listed below. Wilfred died on 23 July 1961, and roughly seven years later Myrle re-married to Lester Johnson of Freeborn, Minnesota, in 1968. Lester would pass away in 1997. 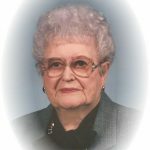 Myrle was a member of the United Methodist Church of Albert Lea, where she was baptized and married. She is a past member of the Business and Professional Women’s Association and was active as a Cub Scout den mother. Her hobbies were reading, crocheting, knitting, and embroidery. Myrle passed away peacefully on 25 November 2007, at the age of ninety-seven. She is buried at Graceland Cemetery in Albert Lea. Joanne Myrle Claybourn was born on 29 December 1931 in Albert Lea, Minnesota. She married (1st) to Gary Howard Kilbourn (1932-1984) in about 1952 married (2nd) to Charles Jeremy “Jerry” Crouch (1928-2006) on 25 May 1979 in Pennington County, South Dakota. Sharon Kay Claybourn was born on 8 January 1937 in Albert Lea, Minnesota. She married Joseph Henry “Joe” Kortz, a widower, on 18 June 1960. [Joe Kortz was born on 15 February 1926 in Mankato, Blue Earth County, Minnesota, the son of the late Ruth (Will) and Henry Kortz. He graduated with the Albert Lea High School Class of 1944, where he was a member of the track team. Joe served his country honorably in the United States Navy, in both WWII and the Korean War. After attending Boot Camp at Farragut, Idaho in 1944, Joe was assigned to the USS Mountrail. He was honorably discharged on May 24, 1946; he re-enlisted and served 2 years in the Korean War. Joe was proud to serve his country.] He worked as a police officer at the time. Sharon died on 23 June 1999 in Albert Lea, Minnesota. Joe died on 28 September 2010 in Albert Lea, Minnesota. They are both buried in Saint Theodores Cemetery in Albert Lea. Stephen (“Steve”) Claybourn was born on 4 May 1943 in Albert Lea, Minnesota. He was married more than once. He later lived in Randleman, North Carolina. Florence Merideth Claybourn was born on 27 December 1908, in Albert Lea, Minnesota. She married Gilmore Johnson. [Gilmore Johnson was born on 9 September 1894 in Albert Lea, Minnesota.] They had one child. Gilmore died on 2 April 1976 and Florence died on 16 November 1978, both in Albert Lea. They are buried together there in Hillcrest Memorial Gardens Cemetery. Karen Helen Johnson was born on 4 March 1948 in Albert Lea, Minnesota. Judith Claybourn Hill was born on 14 December 1939 in Minneapolis, Minnesota. She married on 9 September 1961 in Arlington County, Virginia, to Hamilton Irving Rothrock Jr. (“Rocky”) (born on 17 January 1939 in Atlanta, Georgia). They had two children, Kristen and Stephen. Judith and Rocky separated or divorced later in life. Rocky graduated from Yale and obtained his doctorate from the University of Pennsylvania in Systems Engineering. Later he worked as an electrical engineer working at Bell Labs in Holmdel, New Jersey, helping to pioneer the invention of voicemail and went on to develop innovative safeguards that protected the network infrastructure from terrorism and other threats for the Winter Olympics in Salt Lake City, Utah, and later for the Summer Games in Athens, Greece. Rocky was an avid rower and member of the Navesink River Rowing Club, sailor, white water canoeist and hiker, and traveled the world visiting seventy-seven countries in his lifetime. He was a former President of the Unitarian Universalist Congregation of Monmouth County. Rocky was a passionate birder, and that love of birds had taken him to Antarctica to see the Emperor Penguins. On 29 October 2010, Rocky left a Russian Icebreaker and flew by helicopter where he landed and set foot upon the ice atop the Weddell Sea near the coast of Antarctica. He walked a mile across that sea ice where he reached the Snow Hill Rookery of four thousand nesting Emperor Penguins. He pulled out his camera to take pictures and fell back and died of a heart attack on the ice. His family believed he died of awe. Judith died on 20 October 2011 in Mount Desert, Hancock County, Maine. Jim Robert Hill (“Jim Bob” or “J.B.”) was born on 25 February 1943 in Minneapolis, Minnesota. He married Karen Lee McDonald on 20 April 1968 in Alexandria, Virginia. They had one daughter, Danika Lee Hill, in 1976. After graduating from Wakefield High School in Arlington, Virginia, Jim Bob received his bachelors degree in business administration from the University of Miami in Coral Garden, Florida. He was a member of the Iron Arrow Honor Society, Phi Delta Theta Fraternity, editor of the university newspaper, and field goal kicker for the Miami Hurricanes football team. He received master’s degrees from St. Mary’s University in systems engineering and Baylor University in health care administration. During his twenty-year career in the U.S. Army, he not only served as an aeromedical and evacuation pilot (DUSTOFF) in Vietnam, but also held various teaching, administrative, and command positions throughout the U.S. and Germany. After retiring from the Army in June 1988, he and his family moved to Southern California where he was employed by Science Applications International Corporation in La Jolla. In December 1997 he was selected as Southwest Regional Director and moved to San Antonio. That same month, on 23 December 1997, Jim Bob and Karen divorced in Travis County, Texas. Jim died on 25 August 1999 in San Antonio. Helen Louisa Claybourn was born 6 March 1915, in Albert Lea, Minnesota. She lived in Austin, Minnesota for much of her life. She married (1st) on 28 February 1940, to Willard Munson (1910-1948). They had one child, listed below. Helen married (2nd) Orris Elmer “Orrie” White, probably in the early 1950s. 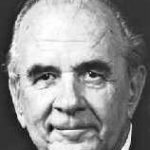 [Orrie White was born on 31 July 1917 in Mower County, Minnesota.] Orrie died on 2 August 1995 in Mower County, Minnesota. Helen died on 6 May 2003 in Milaca, Minnesota and is buried in Oakwood Cemetery. Charles Leonard Munson was born on 4 April 1947 in Mower County, Minnesota. He was married three times. On 26 November 1966 he married (1st) Sheila M. Johnson. On 21 June 1969 he married (2nd) Joyce Elaine Gieser. They had two sons, then divorced on 11 August 1976. He then married (3rd) Bonita Ann “Bonnie” Psyk on 18 June 1977, who had been married and divorced from Clinton Baxter Schultz, with whom she has one son. Charles died on 11 August 2005 in Milaca, Minnesota. Harry Durward Claybourn was born on 21 March 1875, in Rome (Dix), Illinois. He married (1st) on 26 June 1895, to Trena Johnson (born on 23 January 1872 in Norway).They had one child, Iona, listed below. She died on 12 October 1934 in Freeborn County, Minnesota. Harry married (2nd) Catherine June Jensen on 25 December 1935. [Catherine Jensen born 27 June 1891 in Albert Lea, Minnesota.] Harry died on 13 October 1951 in Freeborn County, Minnesota. Catherine died in February of 1977 in Council Bluffs, Iowa. Iona Claybourn was born on 3 August 1897 in Albert Lea, Minnesota. Iona married on 22 December 1917, to Albert Ranstad (1891-1969). They had no children and Iona died on 24 March 1970. Minnie Claybourn was born on 1 November 1877, in Rome (Dix), Illinois. She lived with her parents and died on 20 March 1943 in Freeborn County, Minnesota, having never married.